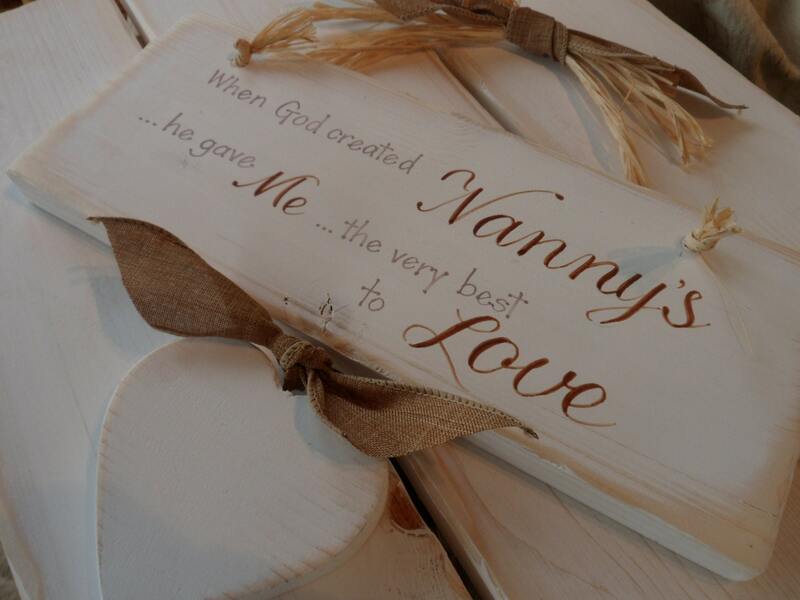 Beautiful word art sign, hand painted on wood. 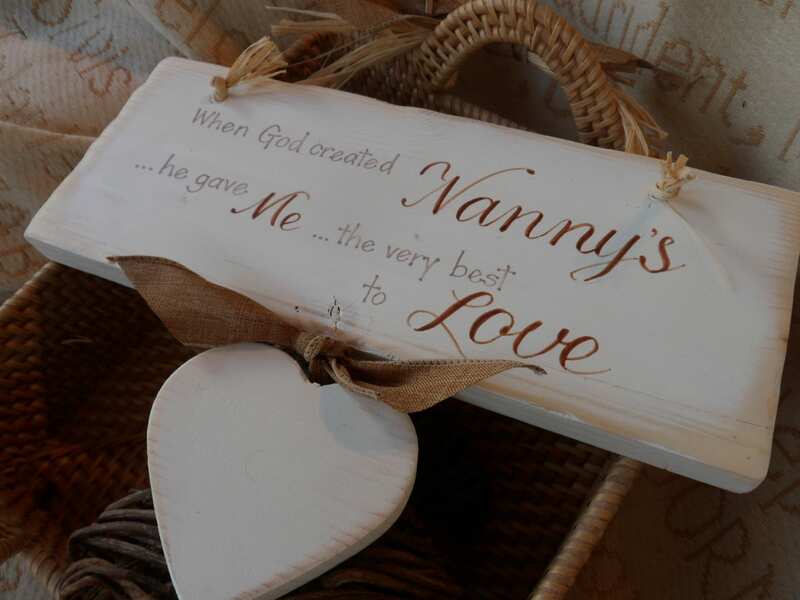 Our handmade wooden plaques make a lovely gift for ANY grandparent. 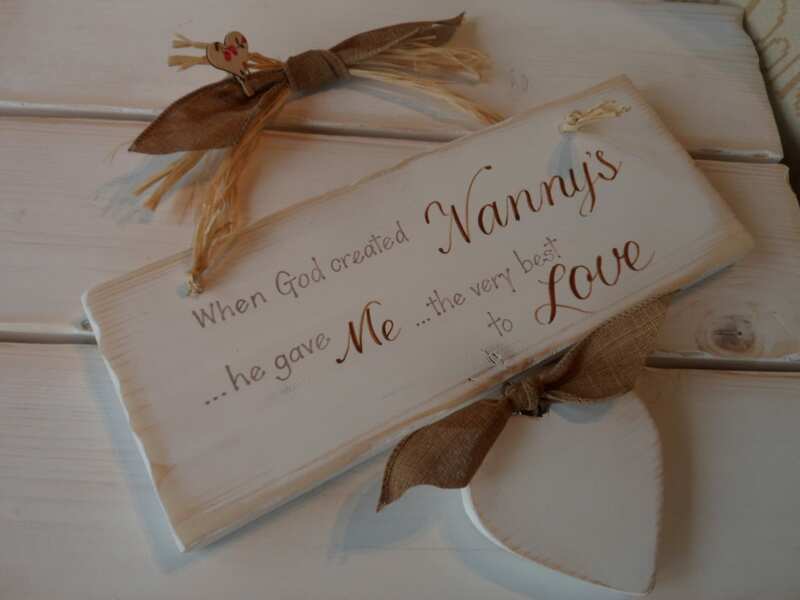 It can be personalised with a name or names on the little hearts that hang underneath and finished with a central wicker heart. 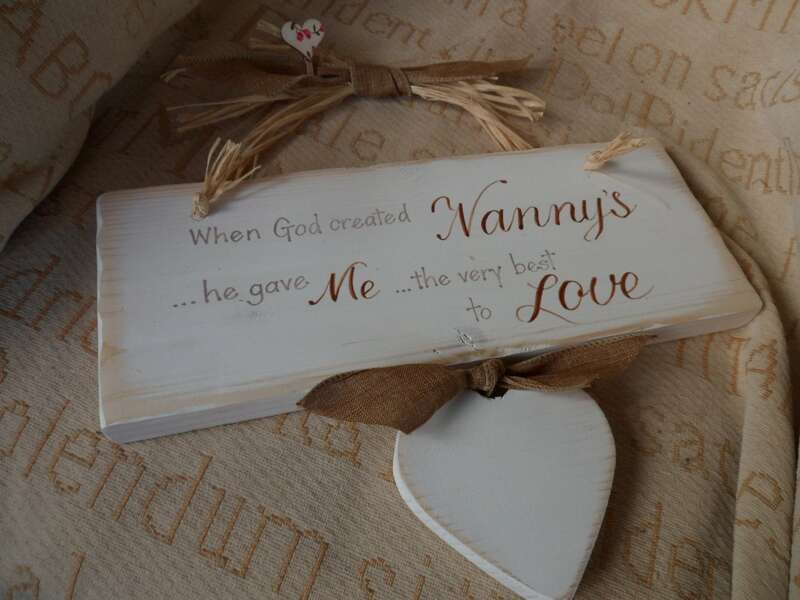 Tied with ribbon, raffia and jute they have the AHH factor and are always well received. 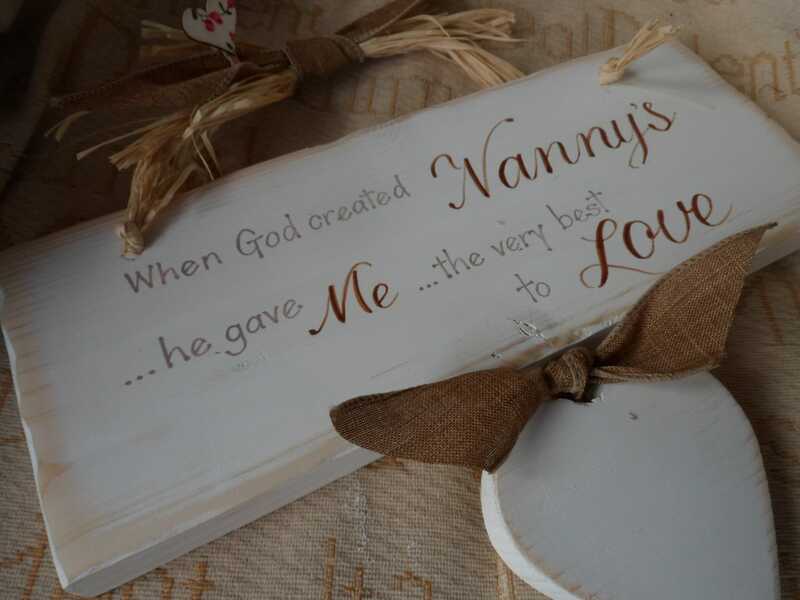 The perfect gift for Mothers Day.